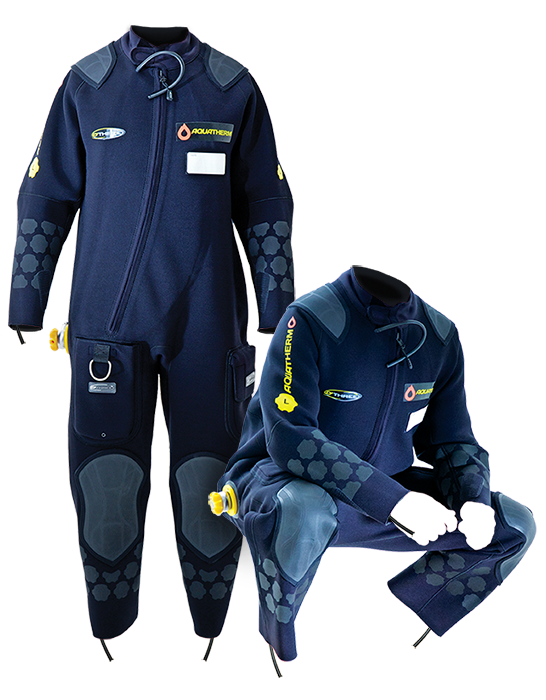 …the most technically advanced commercial diving suit available within the Subsea Market. at flow rates of up to 45 Ltrs per minute. Pre-compressed, shrink resistant, externally laminated. Resin impregnated for quick drying and increased durability. 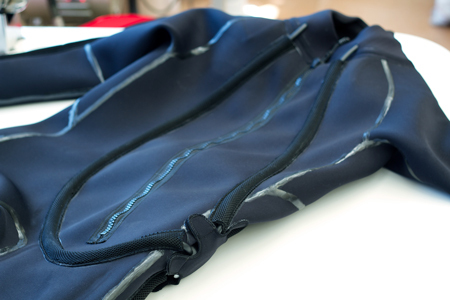 2.5mm Pre-compressed, shrink resistant neoprene. Externally laminated with a tough triple thread nylon. The valve is re-usable, quick to fit and easy to maintain. As part of the system the valve helps deliver a flow rate of up to 45 Ltrs per minute. The innovative construction method has achieved flexibility not seen in any other hot-water suit. This free moving channel system makes maintenance / replacement easy. This proven combination of Shrink Resistant neoprene, engineered re-usable valve and continuous loop system, provide a balanced delivery of hot water, at flow rates of up to 45 Ltrs per minute. Moulded knee and shoulder pads. Detachable / Reusable hot water inlet valve. Wrist / Ankle velcro mounts. Ergonomically shaped at the arms and legs. Internally reinforced and sealed seams. JP014 S 5’5" - 5’7"
60 - 70kg 36" - 38"
92 - 97cm 29" - 31"
74 - 79cm 34" - 36"
JP000 M 5’7" - 5’9"
67 - 73kg 38" - 40"
97 - 101cm 31" - 33"
79 - 84cm 36" - 38"
JP001 MT 5’9" - 5’11"
73 - 80kg 38" - 40"
JP002 ML 5’9" - 5’11"
73 - 83kg 40" - 42"
101 - 107cm 33" - 35"
84 - 89cm 38" - 40"
JP003 L 5’11" - 6’1"
85 - 95kg 42" - 44"
107 - 112cm 35" - 37"
89 - 94cm 40" - 42"
JP004 LT 6’1" - 6’3"
85 - 98kg 42" - 44"
JP005 XL 6’1" - 6’3"
95 - 105kg 44" - 46"
112 - 117cm 37" - 39"
94 - 99cm 42" - 44"
JP006 XLT 6’3" - 6’5"
98 - 108kg 44" - 46"
12 - 117cm 37" - 39"
105 - 121kg 46" - 48"
117 - 122cm 39" - 41"
99 - 105cm 44" - 46"
JP008 2XLT 6’5" - 6’7"
124 - 133kg 46" - 48"
JP009 3XL 6’5" - 6’7"
133 - 146kg 48" - 50"
122 - 127cm 39" - 42"
99 - 107cm 46" - 49"
I actually love the suit - The job I purchased the suit for, was recovering unexploded ordnance in the surf zone on Martha’s Vineyard. In December, I was half in the water, half out, breaking ice to get the job done. I have also used it in California searching for bombs under a pier. I’ve had a little over 4 months of digging for bombs on shallow water dives, 4 to 5 hours a day, almost always on my hands and knees, crawling over wreckage and scrap. That Aquatherm hot water suit looks brand new, and absolutely keeps me comfortable on long dives. If this one ever gets stolen, I know where I am getting my next one, O’Three. The suit has been amazing. I have put it thru the ringer and it has held up great. I have turned about 3 guys onto the Aquatherm and they love it as well. I have a buddy that purchased a different Hot Water Suit about the same time I bought my Aquatherm, his suit is about done and mine is still holding up great! I have been a commercial diver for twenty two years. I primarily work in the Pacific Northwest of the United States. The water temperature here averages around 48 degrees Fahrenheit--ideal dry suit diving temperatures. Over the years I have had many different types and brands of dry suits; vulcanized rubber, tri-laminate, crushed neoprene and regular neoprene. I have found that regular neoprene dry suits are ideal in terms of warmth, flexibility, abrasion resistance, ease of repair and value per cost. Of all the different brands of neoprene dry suits I’ve owned I have been the most pleased with my Port 10 by O’Three. The quality and fit of the suit is excellent. Their customer service is fantastic! 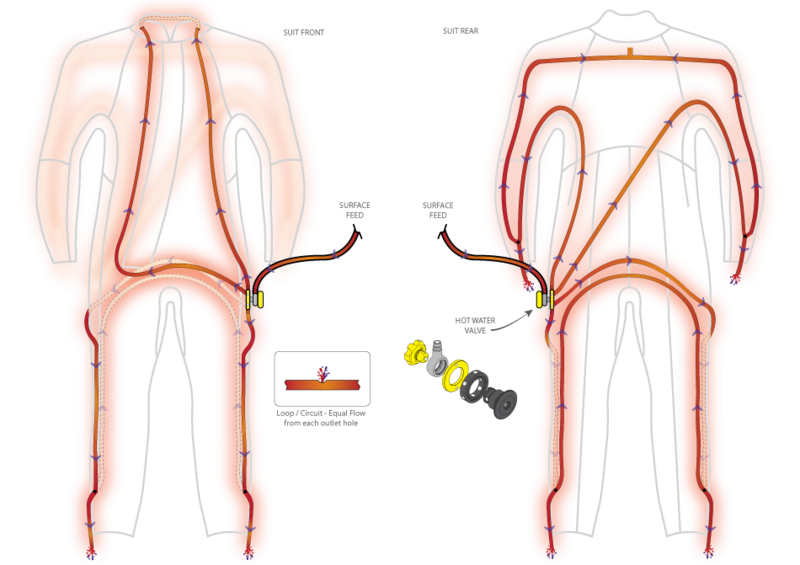 I had a zipper failure on a different brand of dry suit and needed a new dry suit quickly. I sent in an online order form to O’Three. I was contacted promptly by Josh with questions about my measurements. He expedited manufacture of my custom suit and I received it within a few weeks. 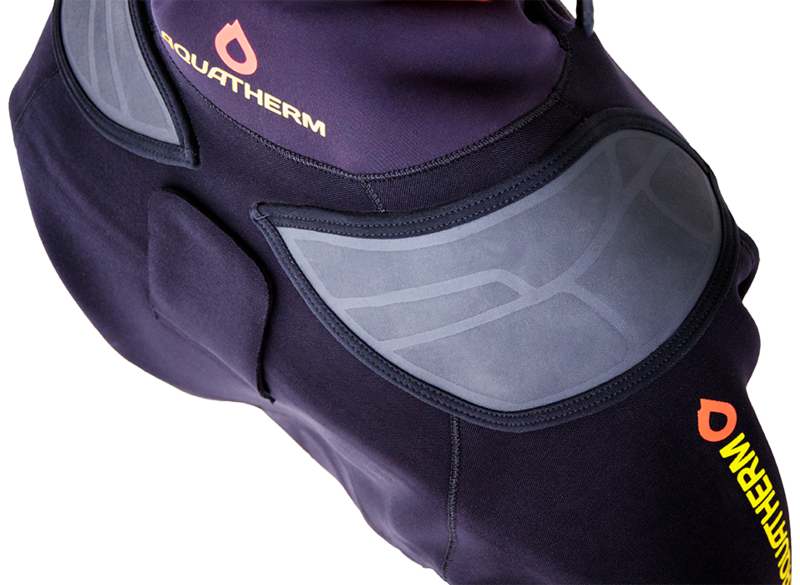 In addition I own an O’Three Aquatherm hot-water suit that I have also been very pleased with. I have been diving it doing Heliox dives in Lake Washington doing repair work to the floating bridges at depths up to 190’ fsw. It has held up well to the rigors of the work. I have been sharing my experiences with these suits with other commercial divers I work with and they have been impressed with the quality of the suits. ADC seeks to actively promote the common interests of diving contractors as well as seeking improvements in health, safety, environmental and technical standards. PATENT PENDING | Aquatherm name, logo and branding all trademarked and rights reserved.